Last Christmas was a mess— a really dark, emotional mess. The very same day that I made this proclamation of well intentioned, forced joy, my Christmas dreams were crushed by the murder of one of my students. Losing Johnny broke me, and I subsequently kinda gave up on Christmas for a while last year. I battled between depression, and the urge to fight my feelings and simply “fix” said depression. I so badly wanted Christmas cookies and cheerful music to fix everything like it always seemed to in those stupid ABC Family Christmas movies. So, I tried to force a few cheerful traditions as an attempt to pull myself out of the darkness and pain. But the truth was, while they distracted me temporarily, none of those things could fix my aching heart or the hearts of the students around me. If anything, my inability to fix the situation just shoved me further into an emotional meltdown. 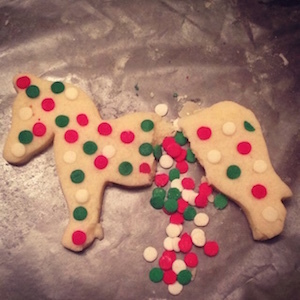 I’m not even kidding you; Christmas was so broken last year that even my Christmas cookies came out looking like a mess. My heart hurts because even in the middle of nowhere, I’ve got a lot of really real crap going on in my heart, and I know you probably do too. It’s the holidays, and therefore I’m dealing with my annual child-of-divorce, “I’m-going-to-have-to-pick-which-side-of-the-family-to-disappoint-on-Christmas” struggle. I’m wrestling with a deep, selfish desire to avoid the conflict and pain I know I’ll be confronted with upon my return to Denver. I’m struggling to reconcile the fact that when I leave this village and return to the safe arms of my loved ones in three weeks, I’ll be sending my TLC students back to unsafe spaces to fend off the darkness on their own for a month. I know I’m not alone in the mess. There are real things that we’re all struggling with, and newsflash: the struggles (at least my struggles) don’t ever seem to care whether it’s Christmas time or the middle of July. If the pain of losing Johnny isn’t going to go away, even a year later, how do I decorate gang warfare for Christmas? How do I hide the pain that it has brought to my Street School family, or the unrelated pain that I’m feeling in my heart because of family struggles and relational breakdown? Should I even try to hide it at all? But I think this is what we, as Christians, feel like we have to do. Within the church we feel this need to be perfect, especially around the holidays. But I, for one, can’t be perfect; I’m completely incapable of it. And I’m sick of feeling like there’s something wrong with me for wanting to be real. Yet even within my craving for authenticity, I still hesitate to bring up the places I’m struggling. After all, I don’t want to be the one to ruin someone else’s perceived holiday perfection with my mess. None of us want to be the broken, hurting ones in the midst of a season that seems to be the antithesis of such behavior. There isn’t space for real life or real pain in the way our culture does Christmas. I think that’s such a shame because I’m pretty sure God doesn’t have His calendar divided into “times that are appropriate to discuss hard things” and “times that are to be devoted only to the drinking of hot chocolate, wearing trendy/ugly sweaters, and listening to Michael Buble’s Christmas album in the car”. No. In His calendar, there is a time of longing for, and a time of receiving Jesus through His birth. And friends, this season—advent—is that season of longing. We all have really deep longings that match our questions and pain, and advent should be a season, just like any other, where we can express those within the safety of the church without someone trying to sweep us under the rug and shove a shiny Christmas tree on top of us and our problems. Advent is a season devoted to waiting and wrestling, longing and hoping. It was not created to be a season devoted to aesthetic perfection. This world isn’t perfect; I don’t think you need a church calendar to tell you that. But I think that it’s okay to let advent be a season of recognizing just how broken this world is. 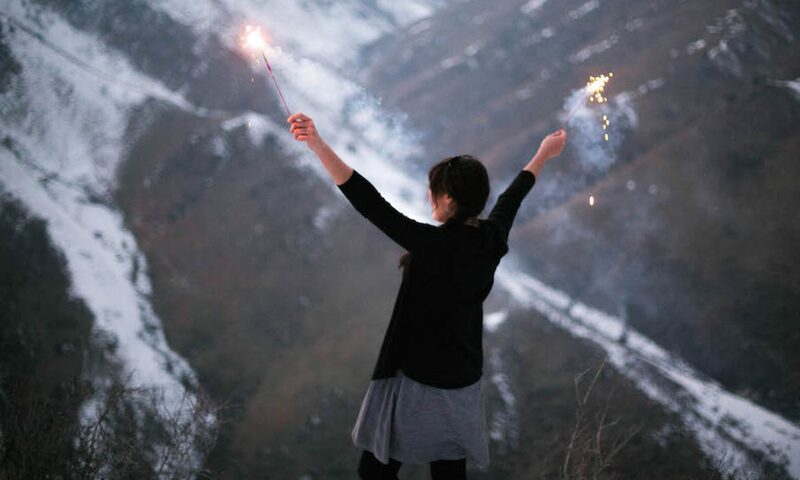 It’s okay to talk about the imperfections in our lives, because through acknowledging them, we can more deeply acknowledge our need for Christ and His coming–for the renewal that only He could bring to our brokenness, both through His birth in that manger two thousand years ago and in His someday second coming. This advent and Christmas season, I pray that the church will be a people who make space for the brokenness (and broken people) in our lives, knowing that Christ has done the same for humanity. May we be a people who speak truth and light into the dark, complicated places of our lives, together. And as we wrestle with our brokenness and as creation groans, may we see Hope within poor circumstance, rather than try to forget that brokenness exists. May we look to the soon-coming Christ, the reason for our confidence and Hope for redemption, deeply knowing that because of what He has done for us in His birth, death, and resurrection, that our sufferings will be lifted one day, for He is making all things new. As I light the advent candles in my home, know that I will always light them for you too, Johnny, just like we did in La Alma Park last December at your candlelight vigil. You are not forgotten. You never could be; you simply shined too brightly with that goofy smile of yours. Thank you for teaching so many of us what Light can look like in abject darkness.